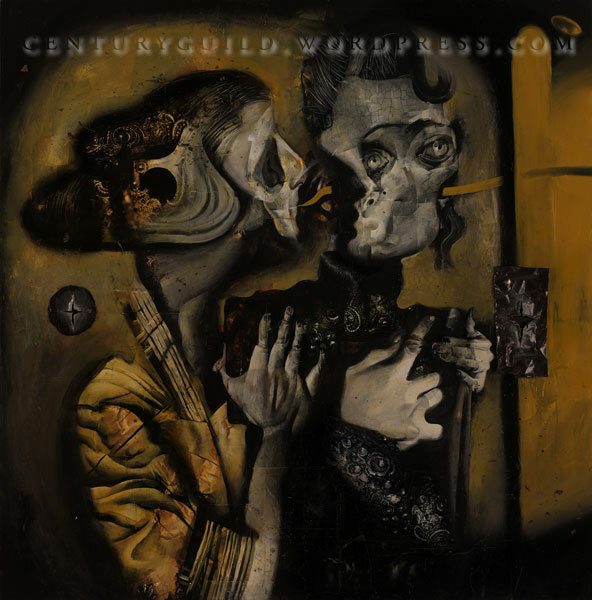 DAVE McKEAN will not stop messing with my calm spiritual center. I know that you are concerned, and I’ve stopped twitching enough that I can now share my tale. I have to preface this by saying I was never a “huge” Dave McKean fan. I appreciated him, to be sure, and was always aware of his work, but if someone said “fan” I don’t know how I would have responded, probably not so strong a word. I found the worlds he explored with Neil Gaiman to be intriguing, but a little gentle and cerebral for my tastes. Again: massive respect, but not as much passion as I had for, say, Walter Schnackenberg or George Grosz. But of late, this man will not stop affecting me, and really REALLY deeply. I thought that there was a chance that his Nitrate series would be his pinnacle, but looking at his paintings for The Coast Road blew that idea away; as a painter, as a storyteller, I genuinely believe now that McKean is an artist that will be in the history books. His style reveals his influences with grace, and shows that he has wrestled them into a hand that is completely his own. This is not decorative art, this feels to my senses- to my gut- the way the things that prove to be genuinely important do. I have no idea what I was talking about, because I’ve had two phone calls as I was trying to finish that last paragraph. My point was something like: I’m an art snob at heart; I have exceptional taste, and you should believe me because large museums pay me to choose things for their collections; and I would without a second’s hesitation, or any reservations whatsoever, go to bat for Dave McKean with anyone, anytime. I am deadly serious: in fifty years, these will be important representations of art in 2010. Mark my words. 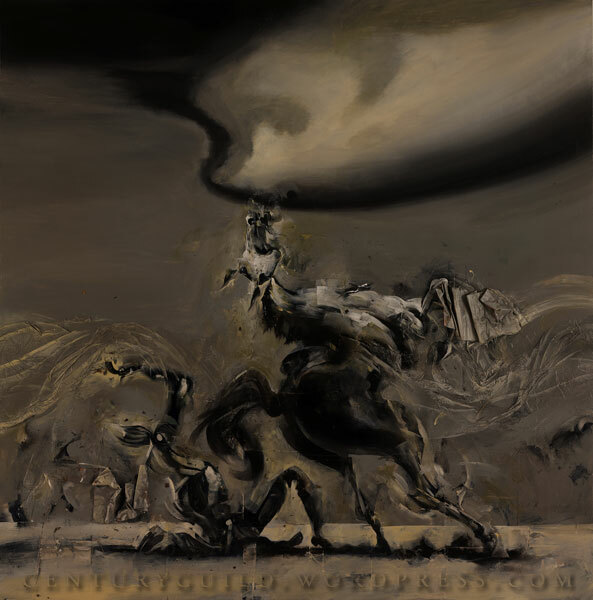 Forget anything you ever thought you knew about McKean if you know him from The Sandman, and look at the painting for Greed: the horse bucking its rider is violent, bleeding with sacred geometry, and texturally challenging- it’s a perfect ten, not only graphically, but artistically. And, if you’ve never picked up a graphic novel, I bet you’ll see this even more clearly. This is a great artist. And we are lucky that he is alive, and creating, right now. Paintings, ink drawings, and edition prints are available. THOMAS – AT – CENTURYGUILD – DOT – NET. 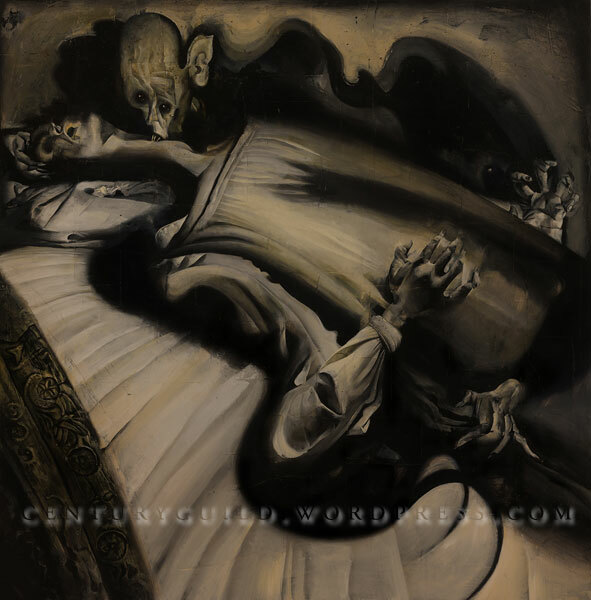 GAIL POTOCKI rare limited editions found, circa 2007; or, “the things that come out from behind the cobwebs”. In doing some pre-Spring-cleaning, we have been sorting, sorting, sorting… and unearthing. Our friend Bart Harris might have had an illustrious past, to be sure, but even photographing Michael Jordan for the Wheaties box couldn’t match working with Gail Potocki. 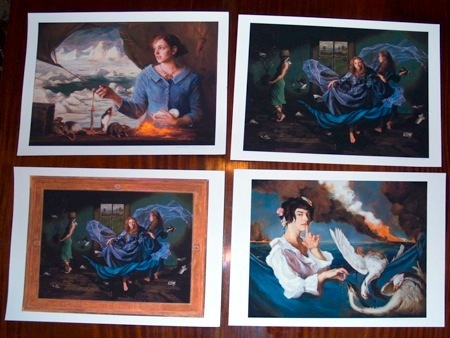 Bart photographed Gail’s paintings for her book The Union of Hope and Sadness, and shortly thereafter pulled these prints as the beginnings of a proposed series of edition prints. This fell by the wayside, as things do, and so these are very limited, indeed- even more than was intended, which is a unique bonus. All prints are 22 x 17 on heavy art paper, and pencil signed & numbered. 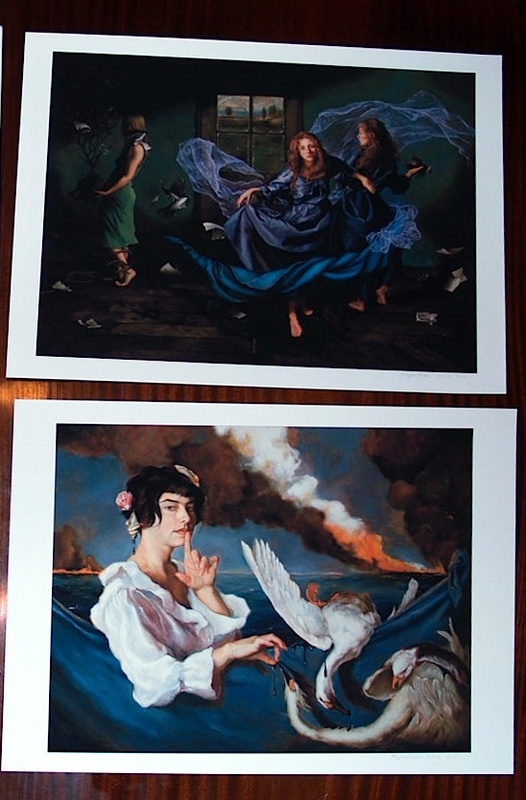 They will be GORGEOUS framed, I have one hanging in my hallway. 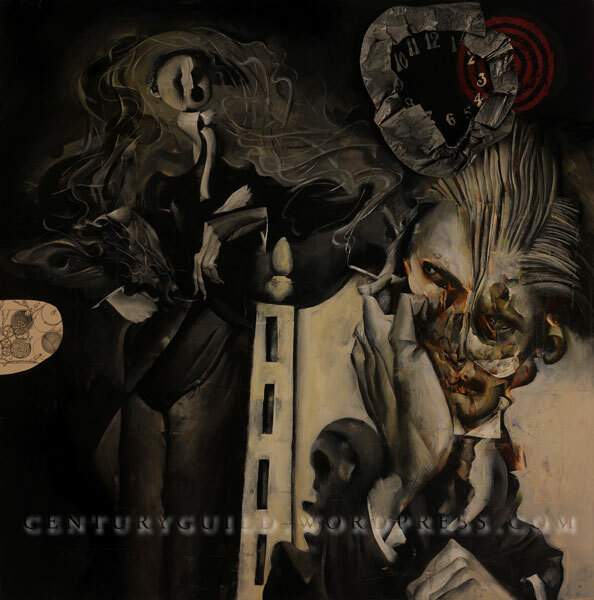 PLUS: Moving forward, all the prints we have planned are for newer works, so for some of these images these might be the only copies ever available. 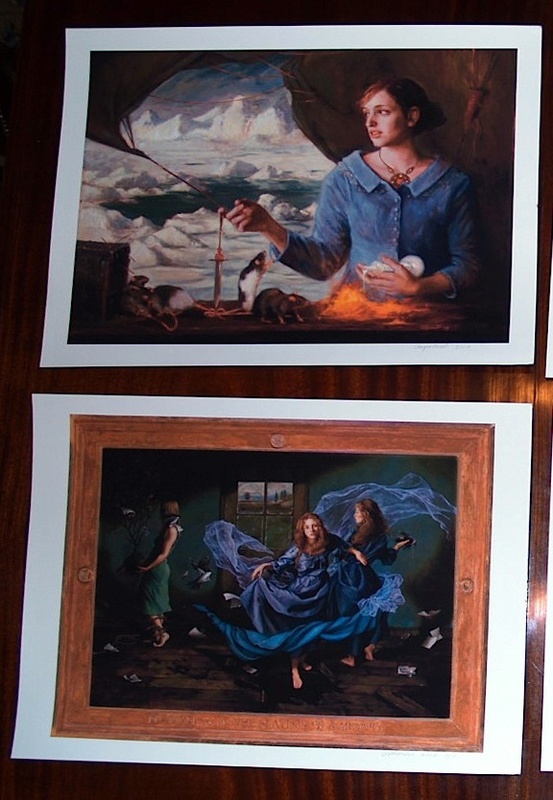 PRICE: These were just gathering dust in a drawer, so the price is only $100 each, plus $20 packing/ shipping within the US- (this is lower than cost, so please don’t ask us in the future to make prints at this price point!) Send a note to thomas At centuryguild dot net if you want to pick one up! 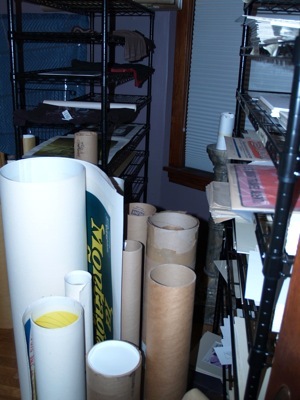 All prints are archival, and were stored with tissue guards, so the surfaces are clean and sharp.